The first 5 days were spent in the Pantanal staying at a vairiety of lodges set along the 120km Transpantaneira. 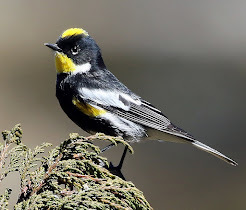 Birds were everywhere and we soon racked up a wonderful list of species. Along the way we started with great views of Red-legged Seriema and Greater Rhea with chicks, plus Golden-collared Macaws, Campo Flickers and ponds full of water-loving birds including huge Jabiru, Wood Storks, Plumbeous Ibis, Bare-faced Ibis, Rufescent Tiger-Herons, Cocoi and stunning Capped Herons, our first of many Sunbitterns, Amazon and Ringed Kingfishers plus many Capybara and Yacare Caimen. In the grasslands and marshes we also added White-headed Marsh-Tyrant, Chaco Chachalaca, the endemic Chestut-bellied Guan, Blue-throated Piping-Guan, Black-capped Donacobius, and a group of South American Coatis. One of our superb boat trips! 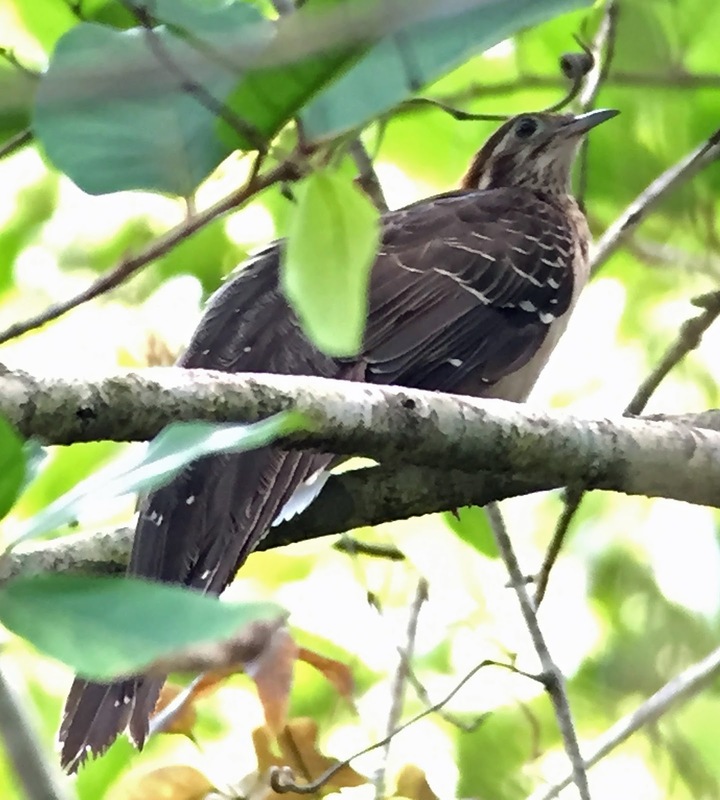 Our first boat trip which was on the Pixiam River was a delight with highlights with stunning close views of Sunbittern including two that flew over showing all their amazing wing pattern. Five or six Sungrebes were spotted along these quiet waters and from the boat we got to see several Helmeted Manakins, Toco Toucan, Pale-legged Hornero, Solitary Casiques, Rusty-backed Spinetails, Great Antshrike, Blue-crowned Trogon, Pale-crested Woodpecker and Little Woodpecker and several Rufous-tailed Jacamars. A walk in a nearby forest found us Matto Gross Antbird, Rusty-fronted Tody-Flycatcher, White-lored Spinetail and White-winged Becard to name just a few. It was then time to head to Porto Jofre where birds came thick and fast. Southern Screamers with chicks which we nicknamed (squealers), Snail Kites, Savanna Hawks, Black-collared Hawks, Green Ibis, Rusty-collared Seedeaters, Striped Cuckoo, Great Black Hawks, Crane Hawk, and a couple of specialities such as Cinerious-breasted Spinetail and Subtropical Doradito. 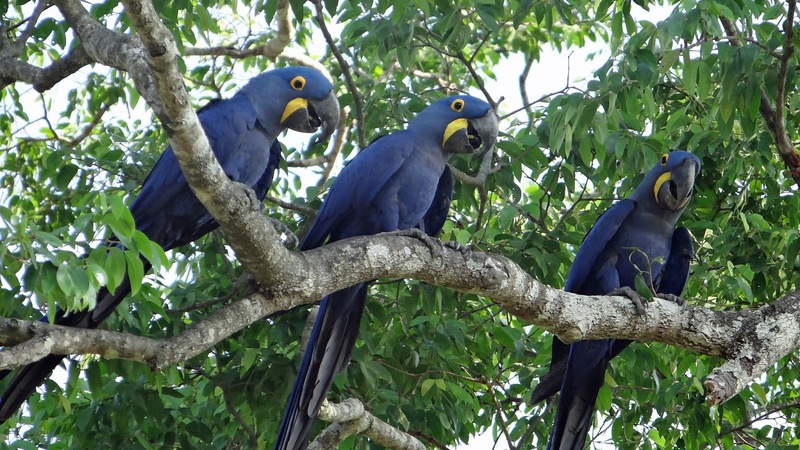 The highlight of staying in Porto Jofre is that Hyacinth Macaws are in the gardens and even right outside your rooms, along with showy Toco Toucans, Red-billed Scythebill, Gilded Sapphire and even a Brazilian Porcupine up a tree. 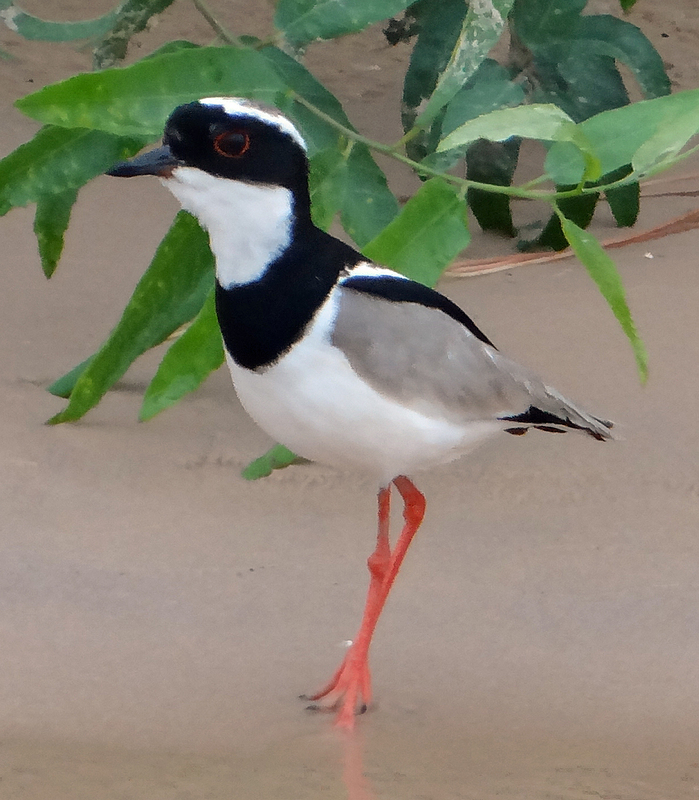 Very attractive Pied Lapwing on our way to find Jaguar! 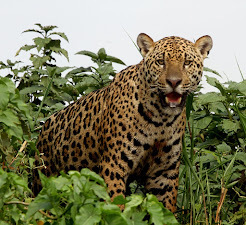 Our boat trips on the Cuiaba River are the reason we stay here and we were not disappointed when a small side stream produced a magnificent Jaguar sat on the bank watching us. We were able to watch him for nearly an hour before he got up and slowly walked off. 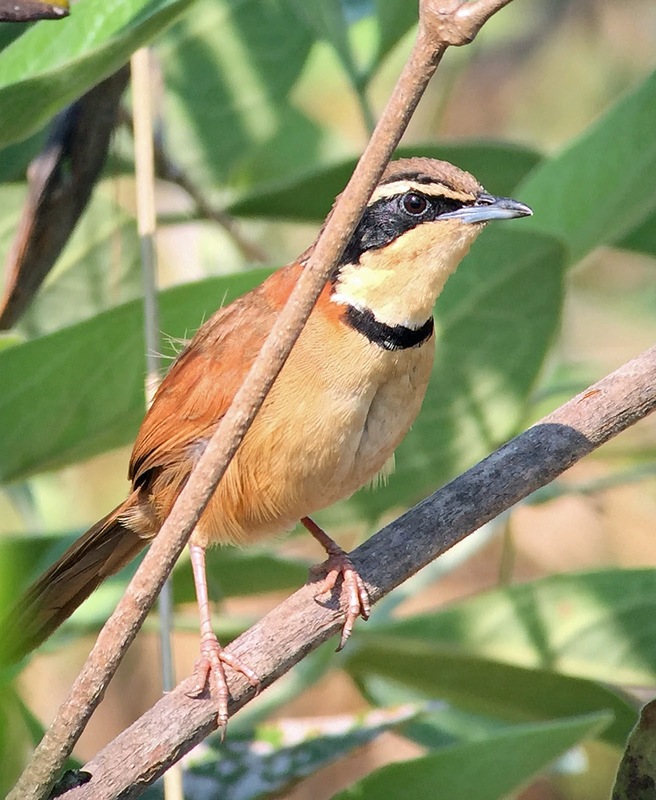 To add to our excitement we also saw 7 Giant River Otters, Large-billed and Yellow-billed Terns, Black Skimmers, Pied Lapwing, Orange-backed Troupial, Grey-crested Cachalote, Asy-headed Greenlet, Masked Gnatcatcher, White-wedged Piculet, Bar-winged Water-Tyrant, Boat-billed Heron, Little Cuckoo and Buff-bellied Hermit flitting around the river edge flowers. That was just the morning boat trip! 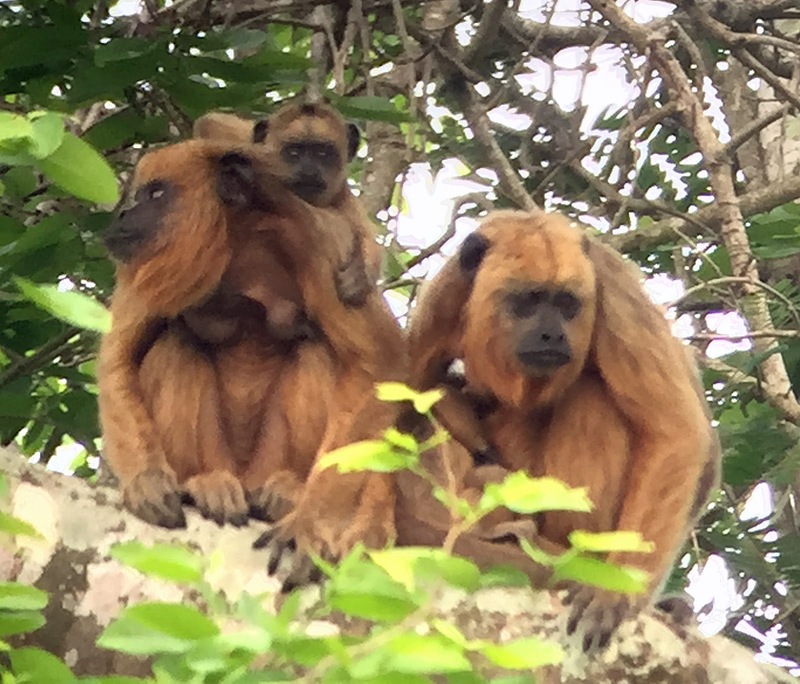 In the afternoon we found Hooded Tanagers, Barred antshrike, Versicolored Emerald, Black-throated Mango, Lined Seedeater, Bare-faced Curassow, Crimson-crested Woodpecker and a group of Brown Capuchin monkeys. 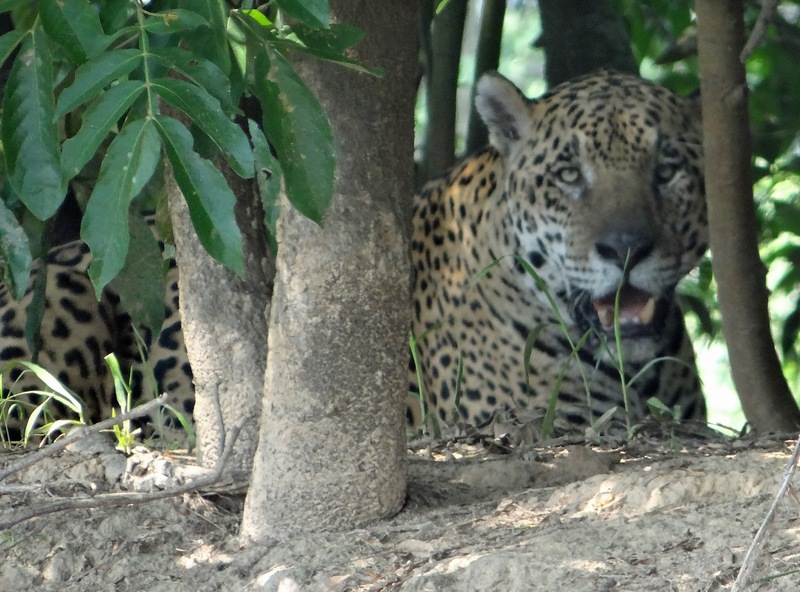 We rounded the afternoon off nicely with our second Jaguar which came out of the tall grasses onto the shoreline where it sat and then laid down while the sunset. On our way back to the lodge we saw lots of Band-tailed Nighthawks plus both Greater and Lesser Fishing Bats. Before leaving in the morning for our next lodge returning along the Transpanernera, we saw Black-and-gold Howler Monkeys with babies and two Ferruginous Pygmy-Owls. Along the way we stopped for a pair of Great Horned Owls, and also good great views of American Pygmy Kingfisher, Chotoy Spinetail, Greater Thornbirds, a White-tailed Hawk, Scarlet-headed Blackbird, South American Snipe and Long-tailed Ground-Doves. 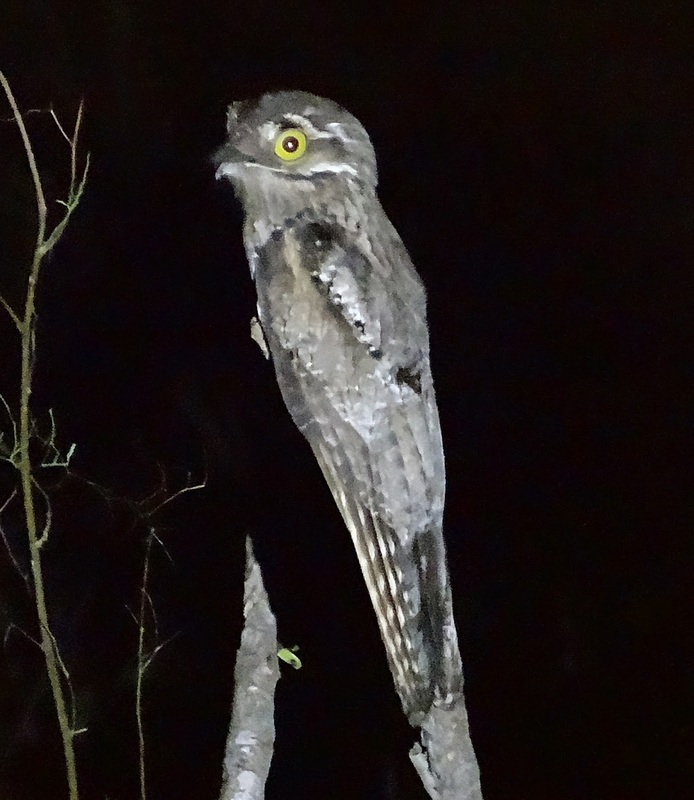 An evening walk was livened upm by Great Rufous Woodcreeper, Nanday Parakeets, Blue-crowned Trogon, Red-throated Piping-Guan, and then a night drive found us Crab-eating Fox, Crab-eating Racoon, Brown Brocket Deer, a very close perched Common Potoo and finally a Great Potoo. settling into the lodge we went out later for an afternoon drive which produced another 2 Tapirs near a salt lick, Red-crested Cardinal, Green-barred Woodpecker, huge Black-and-white Teju Lizards. Next morning we set off in the dark to swee what wildlife we could spotlight before dawn. Only Crab-eating Foxes and Brown Brocket Deer were spotted. Amongst the birds we found as the sun came up were Blue-crowned Parakeets, Orange-winged Parrot, Scaly-headed Parrot, a close Pearly-vented Tody-Tyrant, White Woodpecker in a nest hole, White-rumped Monjitas, Red-crested Cardinal and a showy Azara’s Agouti. 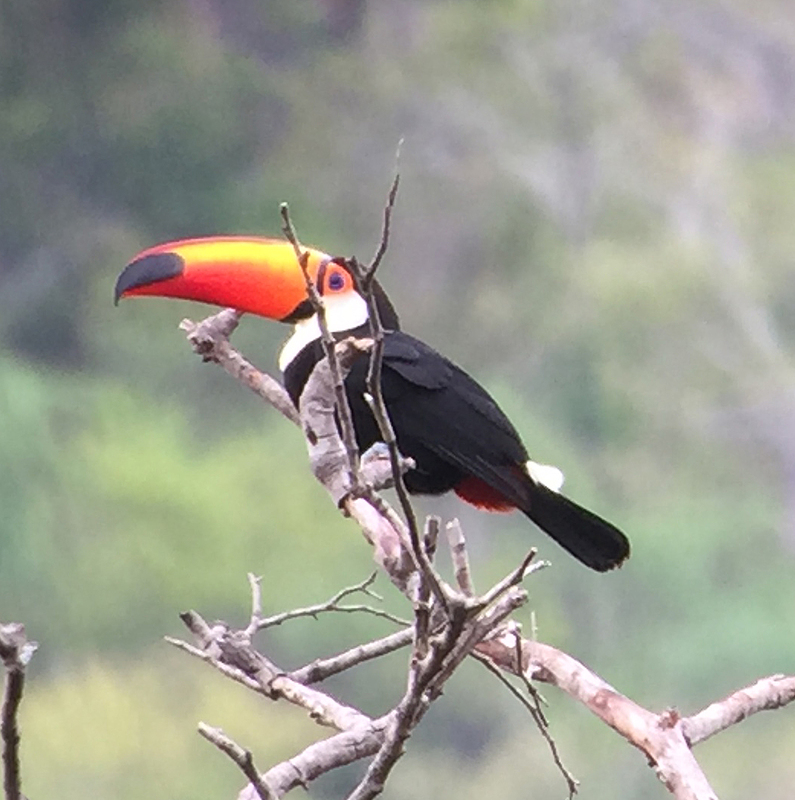 After breakfast a walk along a boardwalk produced nice views of several Scarlet-headed Blackbirds, White-bellied Seedeater, American Pygmy Kingfisher, Snail Kites, Matto Grosso Antbird and nice photo opportunities of a seemingly tame Black-collared Hawk. Our next destination was Currupira das Araras where we spent the next two nights. Birds over this period included a superb Crowned Eagle, and in the forest near to the lodge we had Lettered Aracari, Short-tailed Pygmy-Tyrant, Black-throated Antbirds, Magpie Tanagers, 5 Black-tailed Trogons together, Yellow-tufted Woodpecker, Brown Jacamar, and Greater Yellow-headed Vultures. 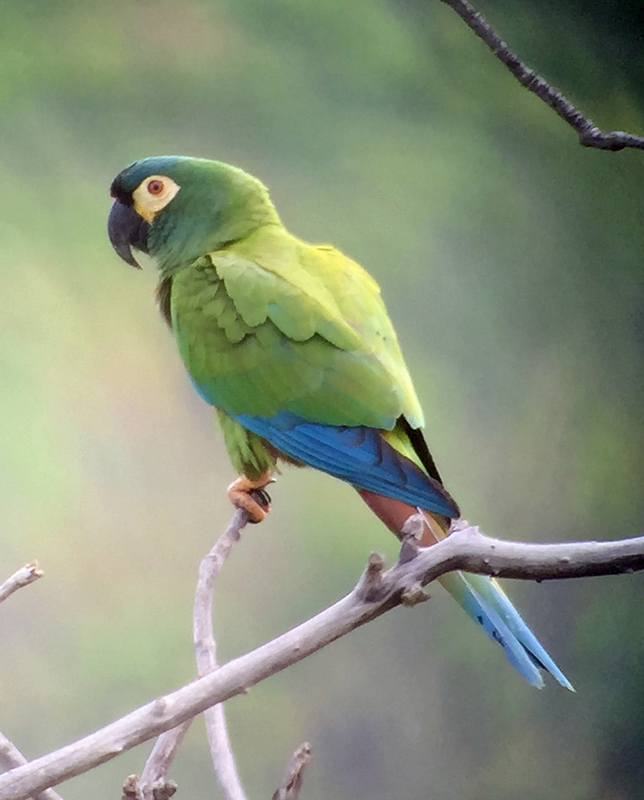 The parrot family was well represented with many views of Blue-and-yellow Macaw, Red-and-green Macaw, Red-bellied Macaws, Blue-headed Parrot, Orange-winged Parrot, Peach-fronted Parakeet and Dusky-headed Parakeet. A quick visit to the forest at night found us a brief Southern Tawny-bellied Screech-Owl. In the grassland we got super looks at Red-winged Tinamou. Moving on to our final lodge in Chapada dos Guimaraes National Park, we started with a visit to the “Bridal Veil” waterfall where we soon found Swallow tanagers, Cliff Flycatcher, Burnished Buff Tanager, both Great Dusky and Biscutate Swifts and fantastic views of a pair of Blue-winged Macaws. 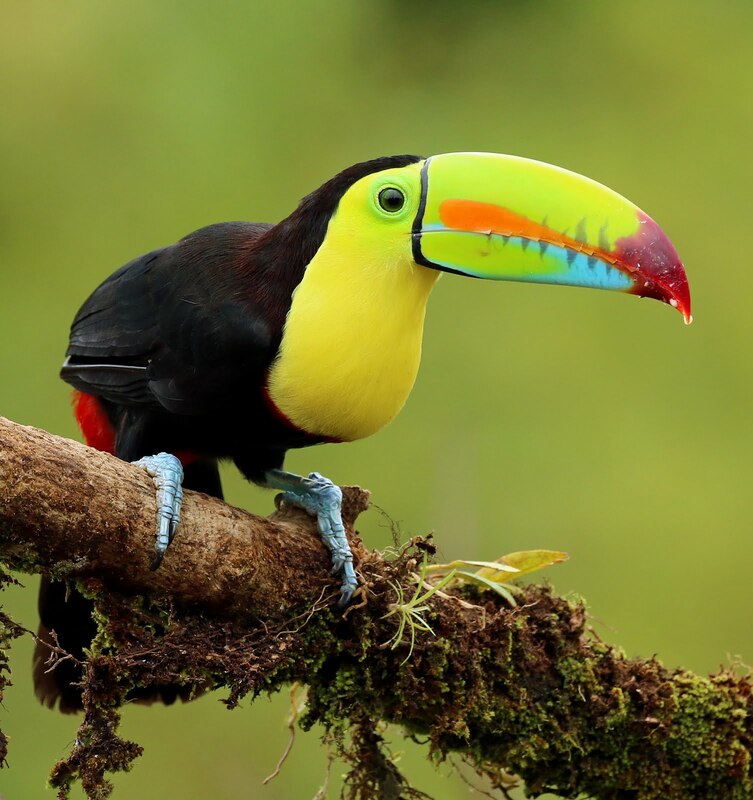 At our wonderful lodge we were surrounded by wildlife and here and the nearby Cerrado produced many sought after species including, White-eared and Spot-backed Puffbirds, Curl-crested Jay, Shrike-like, White-rumped and Black-faced Tanagers, incredible views of a Collared Crescentchest, Yellow-ridged Toucan, Rufous-winged Antshrike, a whole bunch of flycatchers including Chapada Flycatcher, Red-legged Seriema, Amazonian Motmot, and wonderful looks at both Band-tailed and Fiery-capped Manakins. In the evening we were treated to the sight of hundreds of migrating Mississippi Kites. 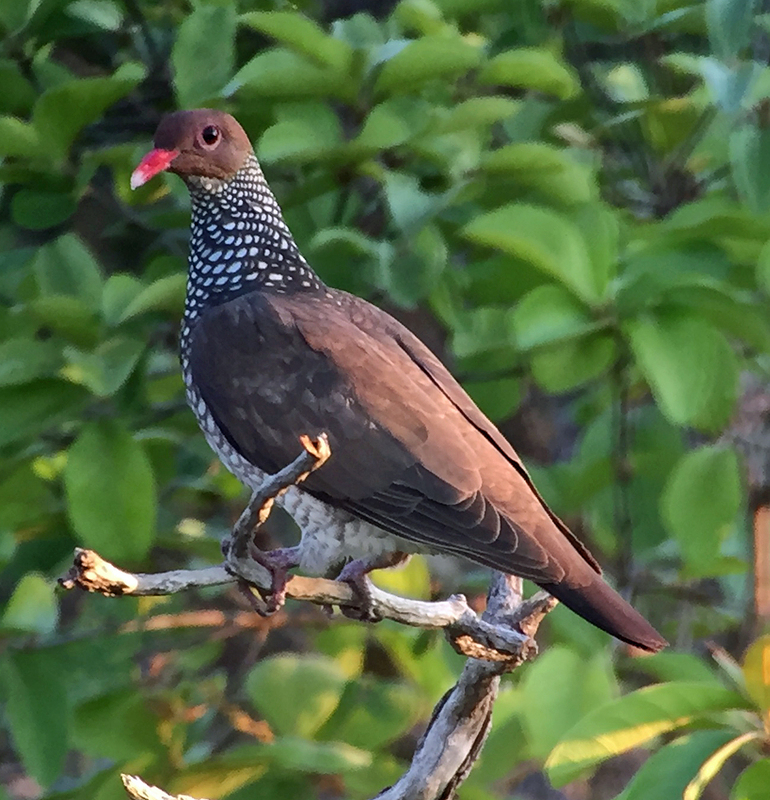 To finish off on our last morning we had super views of many perched Mississippi Kites plus White-bellied Warbler, and a fully perched in the open Pheasant Cuckoo. What an ending to this superb tour. 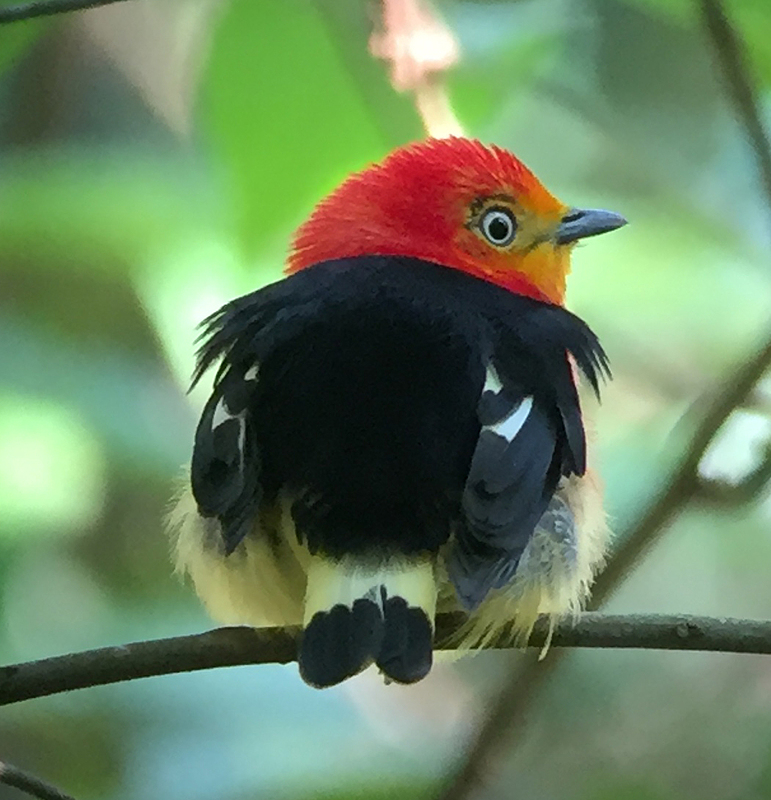 This Band-tailed Manakin was taken using my iPhone through Leica APO Televid 65 Spotting Scope, attached with a Phone Skope case & adaptor and Phone Skope bluetooth remote. As ever the superb Hyacinth Macaw is always a favourite and these were right outside our rooms!